You may or may not remember that I had a crappy month of December that included a violent outbreak of the shingles. It was a nasty surprise that left me with nasty scars all over my back and stomach. As soon as the pain recessed and I was able to start moisturizing the area, I did, several times a day, in order to help my skin heal. However, I quickly realized it wouldn't be enough. 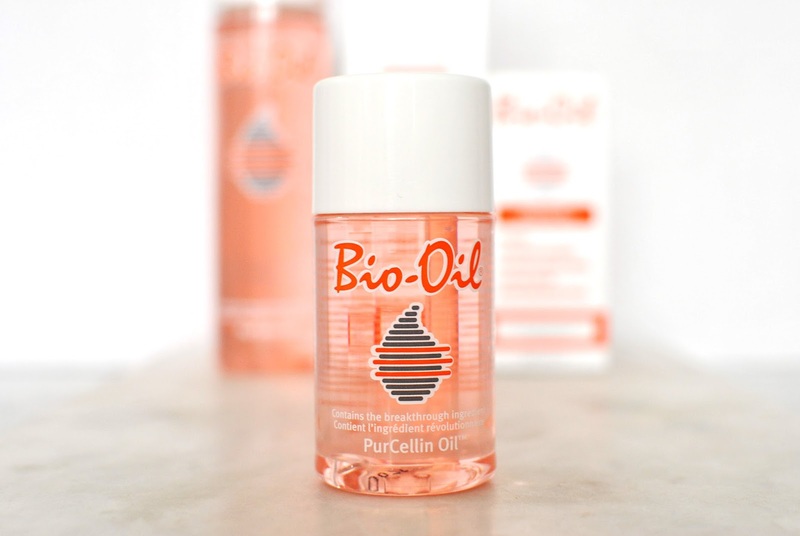 So when I was offered some Bio-Oil to try, I said yes right away. 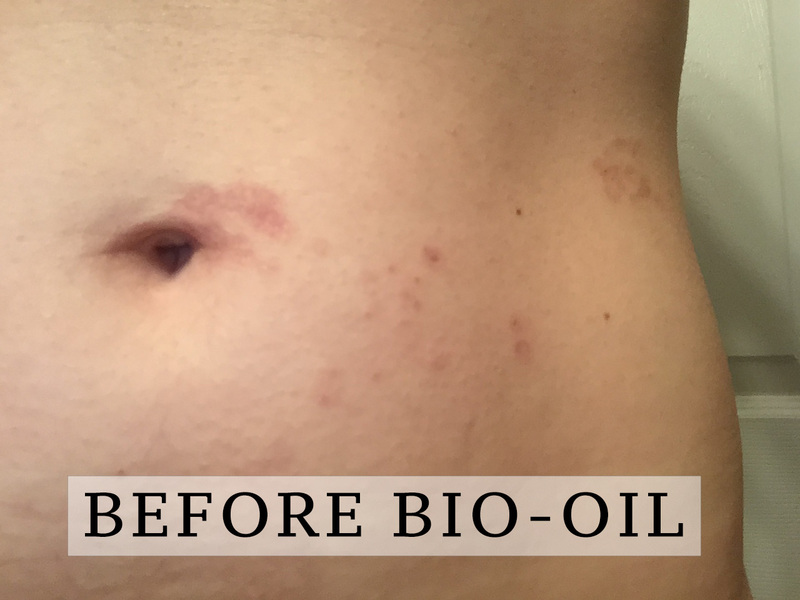 I was familiar about Bio-Oil and had heard it did wonders for scars, stretch marks, etc. While I was tempted to buy it several times, I was always a bit put off by the composition (the main ingredient is mineral oil, which I usually try to stay away from). However these scars were bad and I was a bit desperate. The photos aren't the best but I wanted to make sure I took them in the same conditions / lighting and didn't edit them. The above one is the only one I have of my scars, since at the time I had no idea I'd be blogging about them! 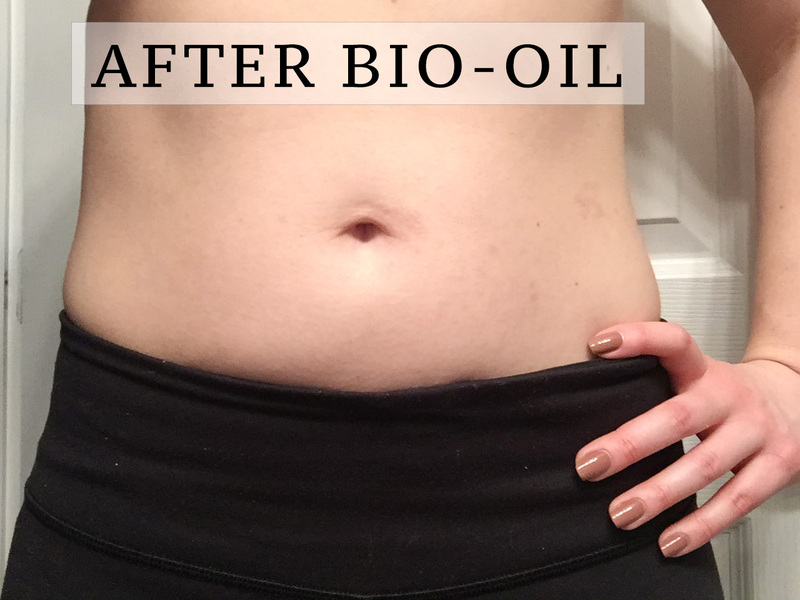 While it is difficult to gauge how much healing is natural and would've happened anyway, how big of a role Bio-Oil played, and to what extent a different moisturizer would've given the same results, it is safe to say that using Bio-Oil helped tremendously with the healing process. 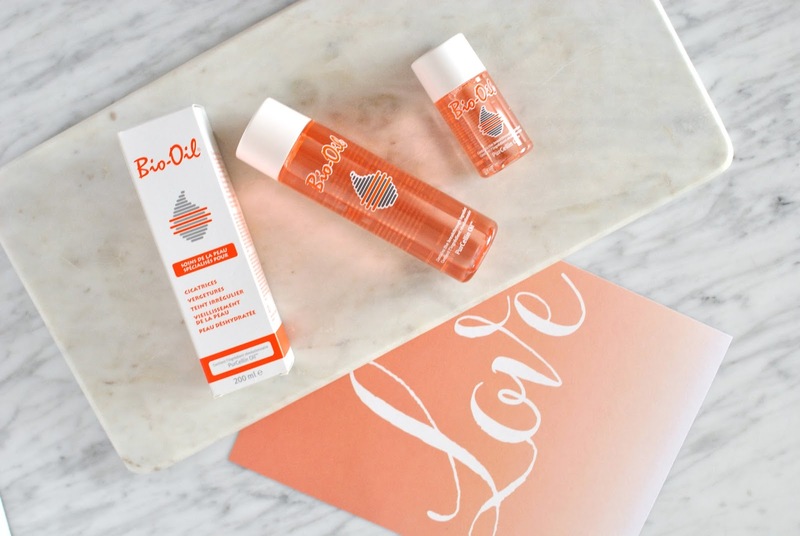 Overall, I'm still not a fan of the ingredients and wouldn't use it all over my body all the time, but I do think it is a good product for targeted skin scarring and skin elasticity issues. * This product was a PR sample I received for review purposes. The thoughts and opinions expressed in this article are honest and unbiased.